Accommodation is available for those people booking into weekend courses, or wanting to stay on a permaculture property for a night or short break. Accommodation includes bed linen, towels and tea and coffee. It also includes a guided walk around the permaculture gardens. There are usually plenty of veges and eggs to purchase for lunch and evening meals. There are 2 queen rooms, and one twin room available at a cost of $60 per room per night (additional person $20). If you are booked onto a weekend course, then room rates are $50/per room/per night. 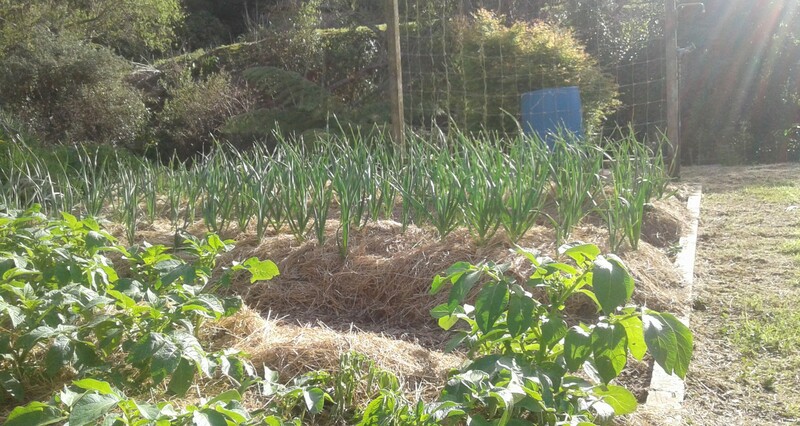 Accommodation can be booked by emailing derinatur@hotmail.com to confirm availability or you can book directly with air b n b – search for ‘Urban Permaculture Garden’ in Westown. There are 3 separate listings for the 3 bedrooms. Copyright © 2019 Korito Education.